Allo is actually a really nice application, but there are simply too many missing features for me to use it in any meaningful capacity. One of those missing features is a desktop client, which was first revealed by Nick Fox (Google VP of Communications) in February. In May, he tweeted that the web client was still "a month or two from public release." 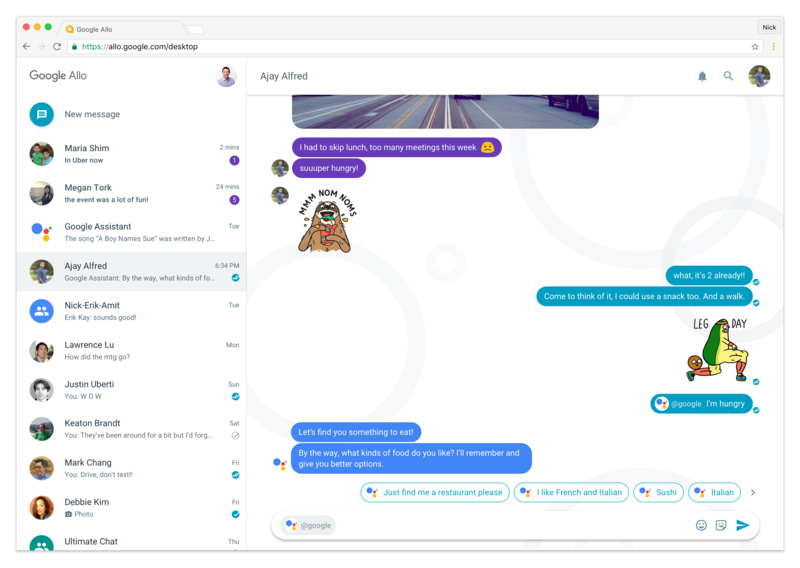 It's been about a month and a half since that statement, but the Allo desktop client is still a ways off. We can only speculate about why it is taking so long, but I would be happier with waiting if an actual native desktop client was coming, instead of a web app. Keeping Chrome running in the background of my PC just to receive Hangouts messages is pretty stupid. Let us know if you use Allo in the comments below (please keep it civil, comments on the last Allo post got a bit out of hand).